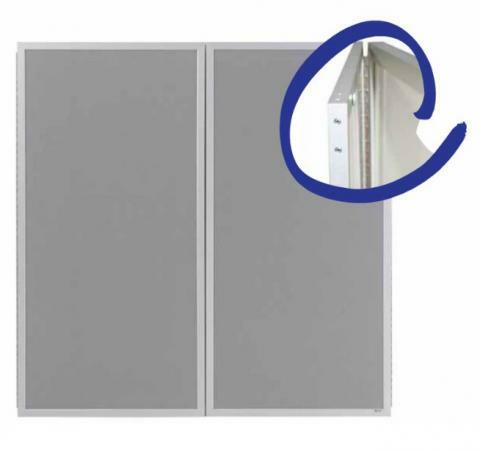 This closing whiteboard is ideal for meeting rooms, conference rooms, or anywhere you would want to have a whiteboard concealed. The center whiteboard is constructed of magnetic porcelain enameled steel, doubling as a magnetic bulletin board. Magnetic fasteners are used to keep the doors shut. 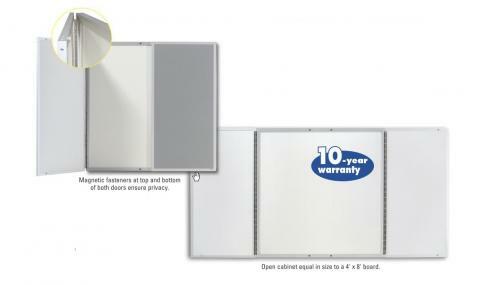 The doors are trimmed in brushed aluminum laminate.